Razer's new Diamondback takes a step down on design and a step up on price, making it a poor value. Razer, inarguably the most popular company in the specialized arena of PC gaming accessories, is now 17 years old. The company now has enough history that it can grab the diamonds of its back catalog, and it’s now re-introduced one of its most brilliant gems. 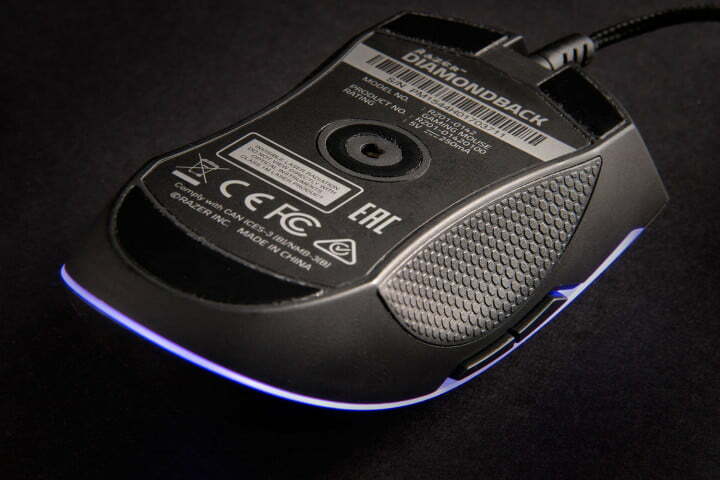 The original Diamondback was a gaming mouse designed to be pleasingly ambidextrous, and it was hugely influential. 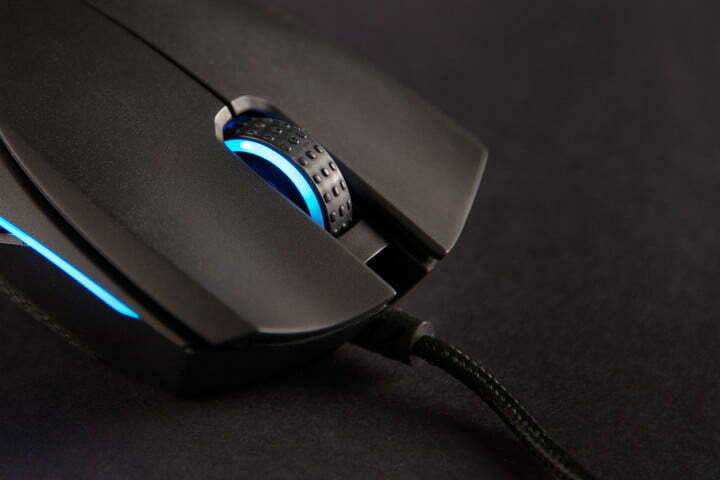 Its finger-friendly primary buttons and high arched body have made their way into the standard design of almost every gaming mouse since. For the big comeback, Razer has subtly altered the styling and materials and grafted on the company’s best laser sensor, but kept the basic shape the same. Is that enough to warrant its $90 price tag? 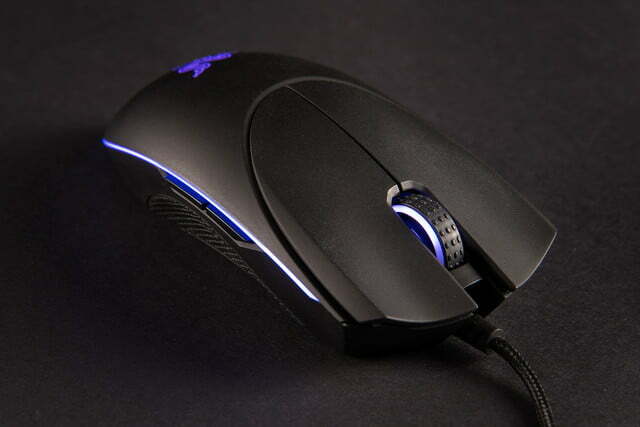 The Diamondback is an ambidextrous mouse, with its dimensions mirrored right down the middle. Huge primary left and right buttons straddle a relatively large scroll wheel with a comfy rubbery texture, like a tiny four-by-four tire with lighting effects on either side. 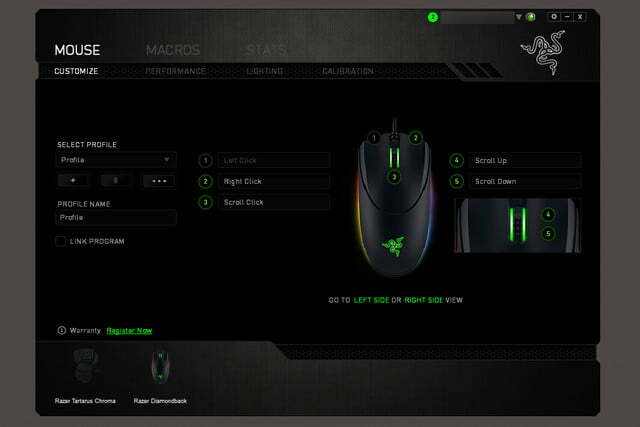 Unlike Razer’s more recent designs, such as the Deathadder, the buttons are completely separated from the body. On both the left and right sides you’ll find two thumb buttons that are right at home, with melee and grenade designations for most shooters, no matter which thumb you happen to be using. These have been slightly altered from the original Diamondback, making them longer and thinner. The most striking change from the old mouse is the difference in materials. 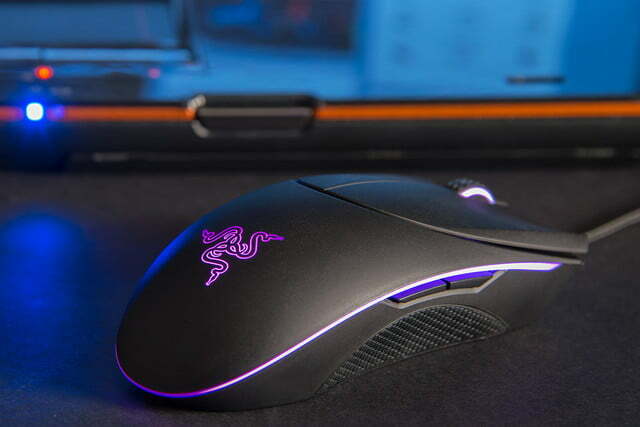 Razer has swapped out the smooth and soft-touch plastics for a grippy alternative, which makes it easier to hold the mouse in a variety of grip styles. That’s a welcome change, but trading the admittedly ugly “bumpers” on the side of the old Diamondback for a slimmer, less obtrusive LED strip is not, for reasons I’ll touch on later. Underneath both thumb buttons is a strip of textured rubber, the better to grip with either pinky. 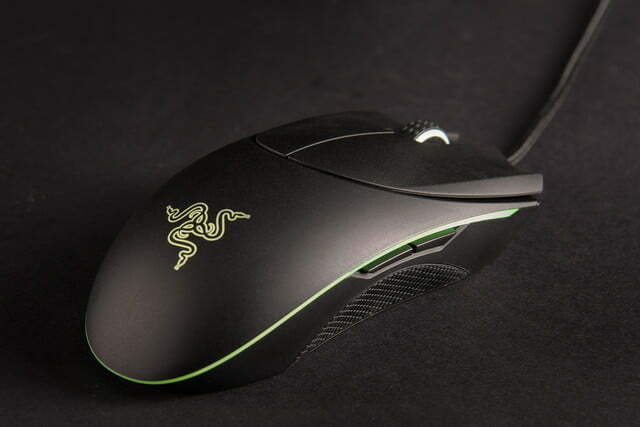 The mouse is topped off with Razer’s triple snake logo on the palm area, which glows with the same Chroma lighting as the mouse wheel, and the LED strip running around the side. Notably, the new Diamondback omits dedicated DPI buttons, making it more like the Deathadder and less like the wired Mamba Tournament Edition (which costs an identical $90). You can program two of the side buttons to be DPI switches, but that presents some serious ergonomic issues. I have fond memories of playing Team Fortress 2 with the 2007 edition of the Diamondback, and I have to say — the more modern interpretation is a step backward. 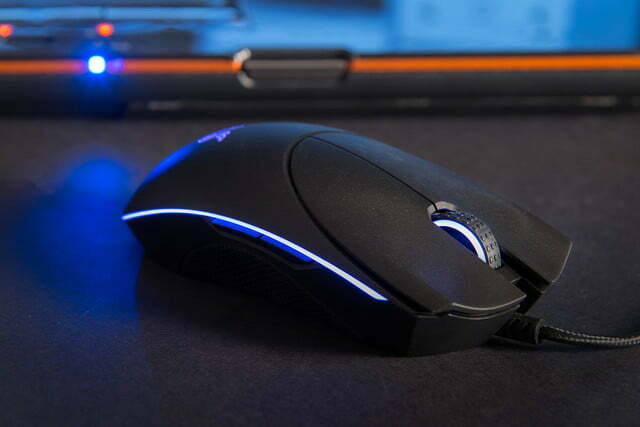 The mouse feels skinny and flimsy, lacking the meaty curves of the Deathadder and Mamba models, leaving small bits of thumb and pinky to drag along the mousepad. The new LED strip is probably to blame. While the older Diamondback had a big spongy bumper of soft plastic around everything except the top area, the new one has nothing substantial to hold on to. Quality materials and construction freshen up the old design. As a result, I had to modify my usual grip to a sort of half-hearted claw, bringing down my speed and accuracy in both shooters and more forgiving third-person action games. I found my pinky often grazed the opposite thumb buttons, often causing an unwanted grenade toss (or a “back” command in the browser). 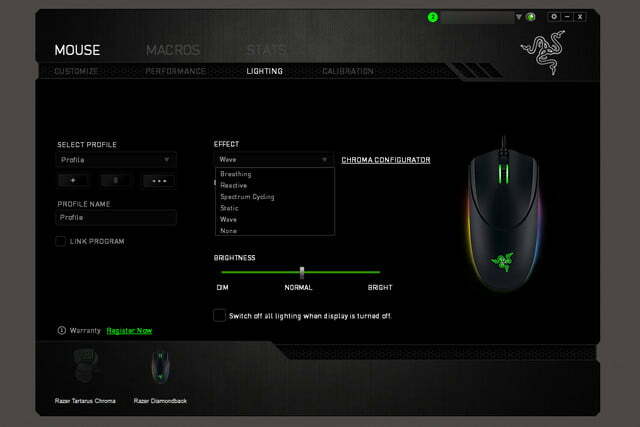 I would have preferred to map these buttons to DPI up and down to make for some on-the-fly sniping, but ended up disabling both of them in Razer’s Synapse software. As I’ve mentioned in my reviews of the Mamba 2015 and Mamba Tournament Edition, Razer’s 16,000 DPI sensor is impressive but mostly useless. I never found any situation where setting the sensor above 9,000 felt sensible. Like most recent Razer designs, the Diamondback manages to avoid total over-the-top garishness, instead looking like a stealth fighter that’s been inexplicably equipped with a lighting kit. 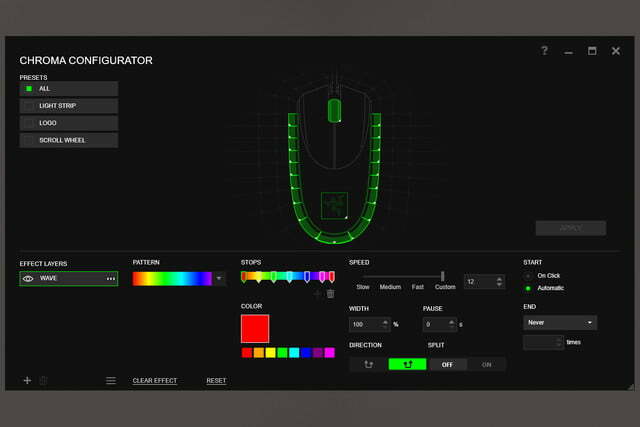 In Synapse you can make the mouse wheel, Razer logo, and edge lighting strip as fanciful or as stoic as you like, choosing between a handful of effects or creating your own in the Chroma section. Other Razer gear can be synced up for most effects, and if you’re like me and prefer that your desktop not look like a rave, you can turn it off. Oddly, the multiple multi-color LEDs on the Diamondback have much smoother transitions than some of Razer’s other Chroma-equipped mice. 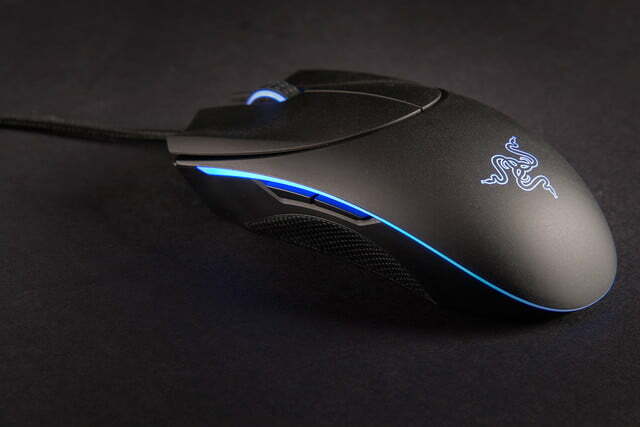 Despite its heritage, the current Diamondback is a newer design than the Chroma-equipped Deathadder and Mamba. Perhaps Razer is refining its manufacturing. Synapse hasn’t changed much in recent years. While I still abhor the removal of the ability to save button layouts to device memory, and the unavoidable requirement of a Razer login, I do appreciate the ability to program nearly endless commands and macros. If you’re a right-handed gamer, the Tartarus is an excellent alternative to a full-sized gaming keyboard. 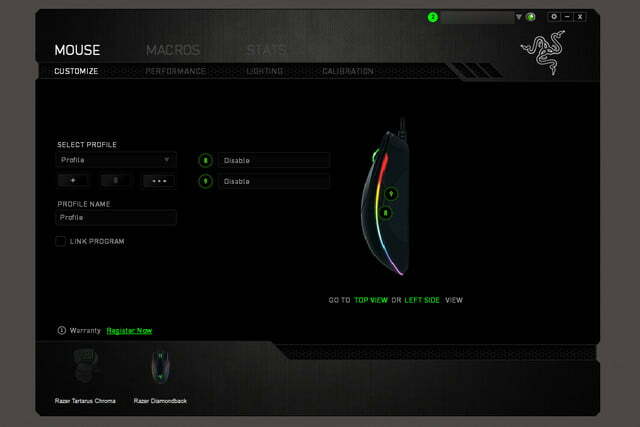 Southpaws will love the superior ergonomics of Razer’s more modern mouse, and this modified model is just for them. If you’d like to try out a standing desk without skipping on the gaming features, this one’s worth a look. $90 is a lot to ask for a mouse, and it’s even more to ask if your company offers similar mice with an identical price tag and more features. 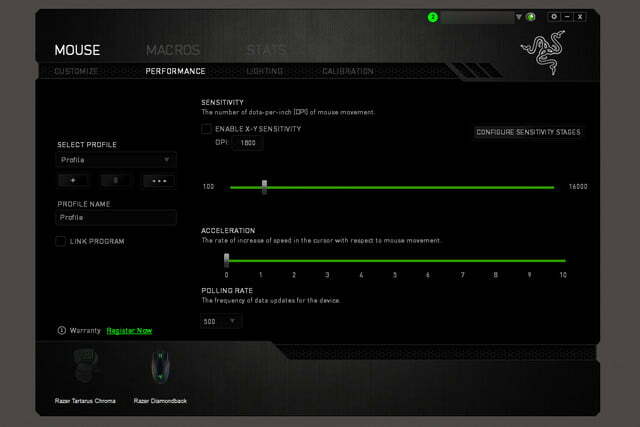 That’s the case with the Diamondback, which compares poorly to Razer’s own Mamba Tournament Edition. The Mamba has an identical sensor and Chroma lighting, but ditches the ambidextrous design and moves the secondary thumb buttons on top of the case to function as dedicated DPI switches. If you’re right-handed, or simply use your computer that way, the Mamba is an obvious choice. And if you prefer to game as a southpaw? 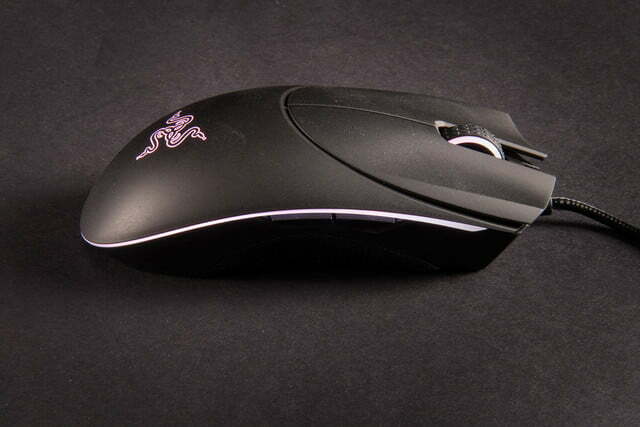 Then I’d recommend picking up the old Deathadder left-handed edition for just $60. You’ll lose the multi-colored lighting and the extra thumb buttons, but as I mentioned above, they’re not all that useful anyway. That’s without mentioning admirable ambidextrous options from SteelSeries, Roccat, and Logitech, all of which can be had for considerably less money. Between the altered ergonomics and high price, the new Diamondback just can’t stand up to its own legacy.